This past semester in Spain has brought me the most amazing experiences and adventures. I have met so many new friends I will forever remember, and all the countless trips taken throughout Europe have been wonderful. Madrid is completely different from Louisville so the adjustment was real! Living in a small flat with 6 other roommates sharing a small kitchen and having to air dry your clothes because there is no such thing as a washing machine was definitely unusual, but after some time it becomes natural. I really enjoyed the fact that I was able to just walk everywhere rather than rely solely on driving from place to place. The metro is also just about the greatest thing you need when you’re too lazy to walk. This semester abroad really tested my cooking skills as well, which I had not seriously mastered yet. The commute to university was much different than I was used to as well. Everyday I would walk 15 minutes to the train station, take a 15 minute train ride, and then walk another 10 minutes to campus. This maybe was the biggest adjustment I had to make early on. But what once seemed so unusual, became an everyday routine and a part of my normal life here in Madrid. The opportunity to be able to travel almost every single weekend I was able to was incredible. I have always had a passion for traveling and this was a dream come true for me. Going to new places with new friends and staying in hostel after hostel is something I will never forget. A few missed trains and a flight add to the struggles but what previously seemed like the end of the world at the time, I now look back and laugh at the stress such little things can cause, especially being in another country. All the wonderful places I was able to see has created memories that will last me a lifetime and all the pictures taken along the way are great reminders of the fun times I was able to have. I had the wonderful opportunity to become very close with people all around the world and even some great new friends from the US as well. The instant connections I formed with everybody was amazing and all my new friends will be missed so much, but I do hope one day later on I have the great fortune of seeing some of my new friends again. Countless trips to Retiro Park with friends and going to eat tapas and hang out at bars also become very routine when I was not occupied with school. These little memories will be the ones that I miss the most because of how normal they became to me and how much fun was spent just doing the little things with each other. I was blessed with a fantastic opportunity to live out my dreams and I have to thank my parents more than anything for this. I also thank the University of Louisville for presenting me with the opportunity to achieve this dream of mine. This whole semester abroad has taught me more about myself than I never thought before. 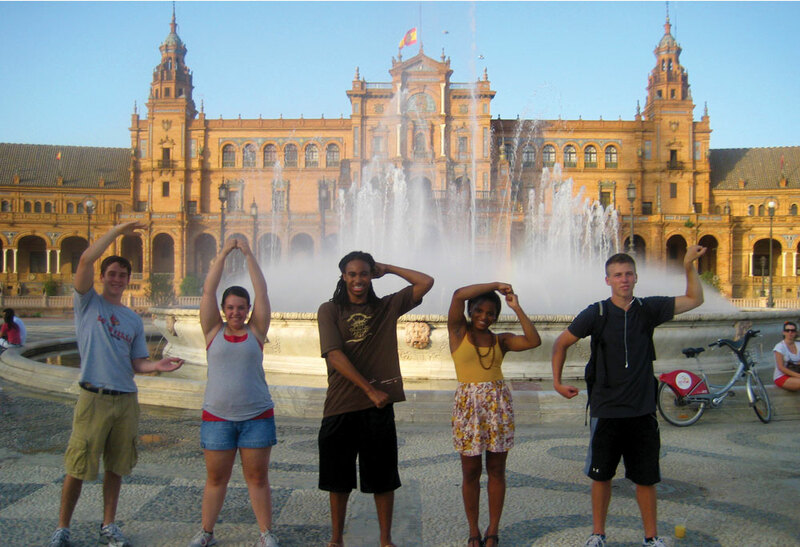 I am grateful for the things that I learned about myself and life in general while studying abroad. While I did study abroad for the purpose of school, this was much more than just that, everything learned during this journey was worth every moment. This entry was posted in Uncategorized by r0hutc01. Bookmark the permalink.